I know, this is really a jazz blog. Not a blog about recycling. Maybe improvising is really recycling music? 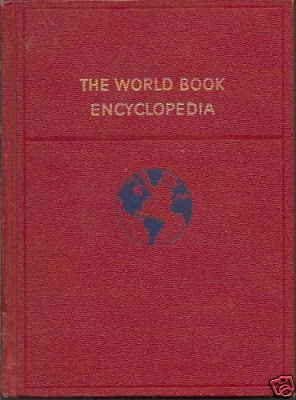 Here’s my dilemma: I can not figure out what to do with my 1981 set of the World Book Encyclopedia. I can’t remember the last time I used it. Probably shortly after I got it in about 1987 as a “discard” at a library book sale. Soon after, I began to rely on the internet for quick references and more in-depth means of satisfying my curiosity about whatever. The internet was constantly updated and required no storage. At least none on my end. I did buy one of those CD-ROM versions of the Brittanica. I never used it. Why load an encyclopedia when you can look up any term and find a long list of sites with far more information than could be stored on a CD? Simply, even before the 21st century, encyclopedias were obsolete. So what do we do with our old World Books and Brittanicas? Turns out there’s no market for them at all. Good Will, Salvation Army, similar thrift and charity agencies won’t take them. Books for Africa won’t ship them. Schools, hospitals, churches—no one wants them any more than I do. They are big, bulky and impossible to keep updated. They are even less useful than pennies and 8-track tapes. So the next thing is recycling, right? Not so fast. Recycling companies will take paper. Not book bindings. You can’t just take a set of encyclopedias to the county recycling center or leave the set in your green recycling bin for city pick-up. Not without first removing the bindings. There are companies that specialize in removing those bindings, for a fee. Heck, why can’t I just do that myself? Armed with my exacto knife, I figured I could do a couple volumes each night and have a few bags of recycle-able paper by the weekend. OK, so what about volume “J”? Naturally I have to check out “jazz.” I learned something on the first page. There was in early jazz band in Indianapolis headed by a guy named Frank Clay. I’ve of course heard of Bessie Smith but I didn’t know about Mamie Smith, who was the first nationally successful black Blues singer. The next few pages are filled with vintage black and white photos of Bix, Basie, Bird, Duke, Herbie and more. What about the section “Jazz Today?” Of course it isn’t “today” now… but it was “today” in 1981. It’s a good summary up to 1981. That would have been more than enough for Ken Burns. So it seems there is still plenty for me to learn right here in my 1981 World Book. After all, most of the history of Planet Earth and mankind came before 1981. And in 2011, is there really no value in literally putting your hands on this cubic yard of text and graphics, thumbing through it just to find out what you can find out? I remember doing just that as a kid, pulling out a book, spending an hour or more just sifting through all those facts, finding something new and obscure. Sure, I could still do that online. But there's something about touching the paper, print. Two weeks ago, I took a few boxes of old Downbeat and Jazz Times magazines, some dating back about 15 years, to the MacPhail Center for Music and invited the seven new students of the Dakota Combo to help themselves. I know that teenagers don’t generally think about hard-copy magazines—they can read all this and much more online, often for free. But put this archaic paper resource center in front of them, and watch what happens. We used to call it “browsing” before that word became a synonym for “surfing,” back when “surfing” referred to something cool guys did on the beach. But even high tech-oriented kids in 2011 quickly recognize the glory of hands-on encounters with words and pictures. So I don’t really want to start gutting my World Books. Somewhere there is a kid, a family, a budding scholar, even a future jazz musician who would enjoy a similar encounter with volume J. Or C-Ch. Or the whole damn alphabet. Even from 1981. After all, you can always look up 1982+ online.